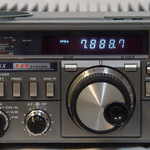 I am looking lately at a transciever for portable operations this summer, and after some reading and thinking I also found a discussion on one of the blogs I follow, where Roger G3XBM posted about the FT817 vs KX3. 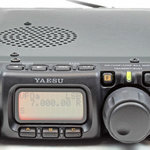 This is an interesting issue as the Yaesu FT-817 is basically the definition of portable QRP transcievers, and the Elecraft KX3 is one of the hottest ones out there at the moment, offering a very high-performance reciever in a small and medium-priced package due to SDR-based technology, wich is one of my main interests in ham radio. 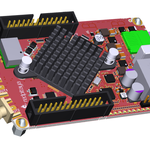 The first issue one might look at is the price point; an assembled Elecraft KX3 + MH3 microphone + KXBC3 charger is US$ 1120, a standard FT-817ND already comes with mic, charger, battery and an antenna for about US$ 600. An external tuner is an option for both for about the same price, but the KX also has the option of an internal tuner. 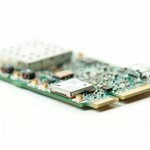 If you like to mess around with electronics, have some spare time and want to save about US$100 on the KX3, you can get it as a kit and assemble it yourself. Because the two represent different generations of ham radio technology, the performance in the newer KX3 is undeniably better than what you can get with the older 817. Actually, the reciever in the Elecraft KX3 is so good that it ranks among the top ones available today, beating transcievers that cost 2-3-5 times more. It’s user interface is richer, with an actually usable display and alot of buttons available for direct control. 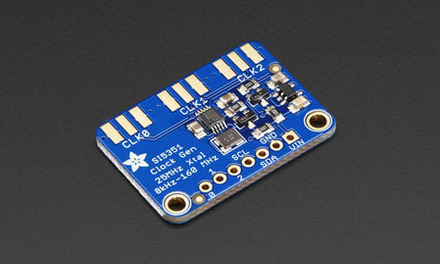 It is also newer, has the internal tuner option and offers a bit more power (10W instead of 5W). The Yaesu FT-817ND is simpler, it’s reciever is just “OKish” (and rather noisy on 2m/70cm bands) and has been plagued with the delicate finals issue. It is a bit heavier (1.2Kg vs 0.7Kg), the display is not useful at all, the S-meter is more of an on/off type and it has much less buttons, being more menu-driven. Both target the portable operations crowd, where lightweight, simplicity and reliability are the key factors. Therefore, the 817’s modest interface becomes a plus, the small screen and the few low-profile buttons are much less likely to be damaged while you carry it in the backpack together with a larger baterry, tools or portable atennna parts; it is almost bulletproof in the field compared to the high-tech fragile KX3 that has connectors sticking out on all sides, fancy buttons and the big frontal LCD. The FT-817’s extra weight is there because of the internal rechargeable battery wich the KX3 doesn’t have (but you can add), and the SDR DSP-based reciever in the KX3 is most of the time worthless in a situation where you are struggling to be heard. Noisy 2m/70cm reciever you say ? Might be, but the KX3 doesn’t cover those bands at all. And if you worry so much about the sensitive finals on the baby Yaesu, you can buy two 817’s for the price of one KX3 and keep them both with you in the field, you can even use one as a second reciever wich is much more useful than 100dB 2KHz spaced dynamic range. If you need a rough and proven do-it-all portable transciever, the 817 is still the best match, even after 12 years. Adjustable power up to 10W from a reliable final unit (unlike the Yaesu’s), low recieve consumption and the internal tuner option are nevertheless key features for a portable that overall prove Elecraft has good engineers, unfortunately not complemented by a good and clear concept to work on. I don’t really find the target for the KX3, it’s layout is not the best for portable, the performance is awesome but over the US$ 1k people would expect 100W from a base station unit and the connector placement would make a mess of your mobile installation. The IC-703 showed Icom understood pretty well what the FT-817 lacked, Elecraft should’ve picked up something from them. As far as I know, the issue of FT-817 fragile finals only applied to the old, non-ND version. Indeed the ND version seems to have fixed the problem a partially, although there are still enough reports of blown finals for the ND out there (wich might be normal numbers considering how many have been sold, i guess). And then there are people who have used the original 817 normally since day 1 with no issues whatsoever. People tend to amplify the negative aspects and it's hard to find objective opinions about the ND finals after the bad fame of the original 817. Anyway, thanks for checking out my blog, have a great weekend ! Agree that the KX3 is a neat rig but in my opinion the FT-817 performs well enough and is MUCH more versatile and rugged. A case in point: About 2 weeks ago I bought a used motorcycle. I had to pick it up from the seller who lives approx. 170 miles from me. The plan was for me to ride the bike home with my wife and a friend (also a ham) driving our car home. So I wondered what to do about communications. I pondered this for about a week before the trip. We finally ended up using both of my FT-817s – one in the car connected to a 2m mag mount on the roof, and the other one inside a military surplus ammo bag slung over my shoulder on the bike, with earbuds inside helmet for receive and the mic hung near my right shoulder for transmit. Running on its own internal batteries. We picked a clear 2m simplex frequency and started home. Worked great! No problems communicating whatsoever. If I had owned a KX3 rather than two FT-817s, I could not have done this. And shortly after arriving home, I connected one of the FT-817s to my main HF antenna and checked into a couple of nets on 40m. I've both radios and both do have their specific pros and cons. The main reason for me to keep the FT-817 is the VHF/UHF coverage. 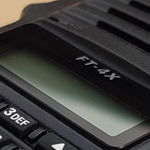 I like the RX of the KX-3 much more, especially the filters and also the front panel is much more comfortable to use compared to the tiny knobs and buttons of the FT-817. The price difference and the VHF/UHF SSB capability is the biggest advantage of the FT-817 and if you have to turn your penny around twice, I guess it's an easy choice. You can have fun with both on portable antennas and at the end it is the price and your taste that will influence your decision. I'd have a 817 in 2002. Sold it. After a while and a short term memory (I forgot WHY I sold it), bought another one. ND one. Sold it after remembering the first experience. Now, i own a 703+ and desperately seeking another one! FT817 has only abt. 3w on SLA battery (5 only at 13V), not so good RX front end on serious antennas. 703 has 10W at 12V, 5w at 10w and a beautifull receiver on whatever antennas. Also, ATU is a big plus. Never to sell it! Gave a TS-480SAT for this gem. 73. If money is an issue, get a YouKit HB-1A. You can't compare the FT-817ND to the KX3 if it's a money issue. If you do, than the FT-817 is the answer. If you want a completely self contained radio, the KX3 wins hands down. If you look for maximum performance, KX3 again wins hands down. 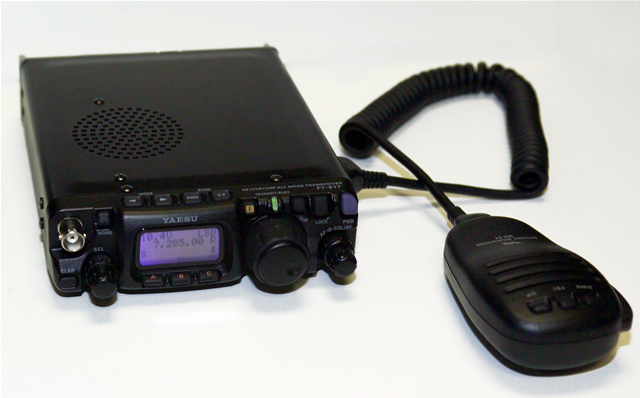 The KX3 has tons of features the FT-817 lacks. I am not down on the FT-817, I think it's one of the neatest little radios on the market, I've owner one and loved it. I replaced it with the IC 703+, another great radio and I still own it. I use my KX3 in the shack as well as portable. If you just want a little knock around 5 watt radio, the FT-817 will surely fit your needs. If you want a completely self contained high performance radio, the KX3 is the only answer. Bottom line, "How much do you want to spend and what are your needs?" I tried to write a reply to your post and I ended up writing another article. Link at the beginning of this article. 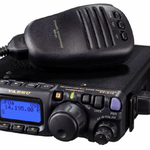 The FT-817ND model has proven to be just as reliable as any other all-band, all-mode, amateur radio transceiver. 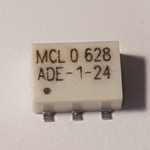 Yes, the old FT-817 did have some reliability issues with its PA and driver stages but it was no less reliable, overall, than some other transceivers of that era. I see very few of the old FT-817s in for repair with my technicians, these days. I did approach Elecraft a few times with a view to handling their (warranty) repairs but they said they didn't want to appoint any more overseas agents, at that time.